Metin Salt is the general manager of both Vestel Ventures and Vestek. His previous work experience includes TUBITAK and HAVELSAN. 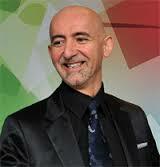 He is a keynote speaker focusing on technology, entrepreneurship and future. He is interested in application of technological advancement in consumer electronics. Metin is an alumnus of METU.